Huber Heights City Schools Superintendent Susan Gunnell recognized the HHCS student winners in the Violence Prevention Poster and Writing Contest at the January Board Meeting. 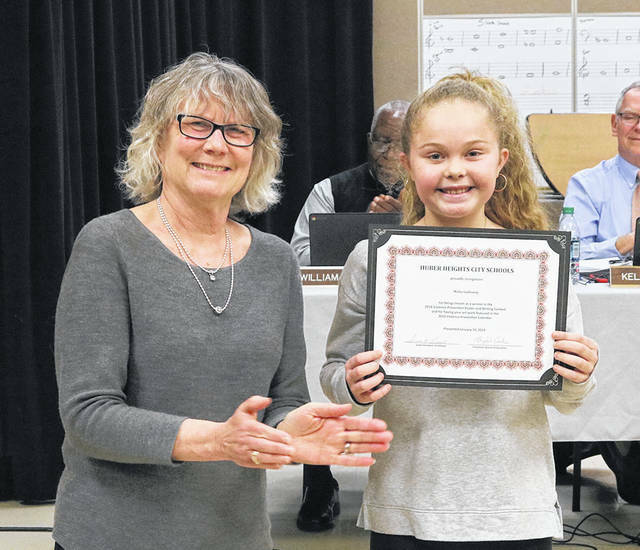 She awarded a certificate to Malia Galloway, a third grade student at Valley Forge Elementary, and Gulhanim Sarvarov, a third grade student at Valley Forge Elementary, will be awarded with a certificate as well. The contest was organized by Montgomery County Prosecuting Attorney Mat Heck Jr.